"Our Kyrgyz people abroad are so friendly!" 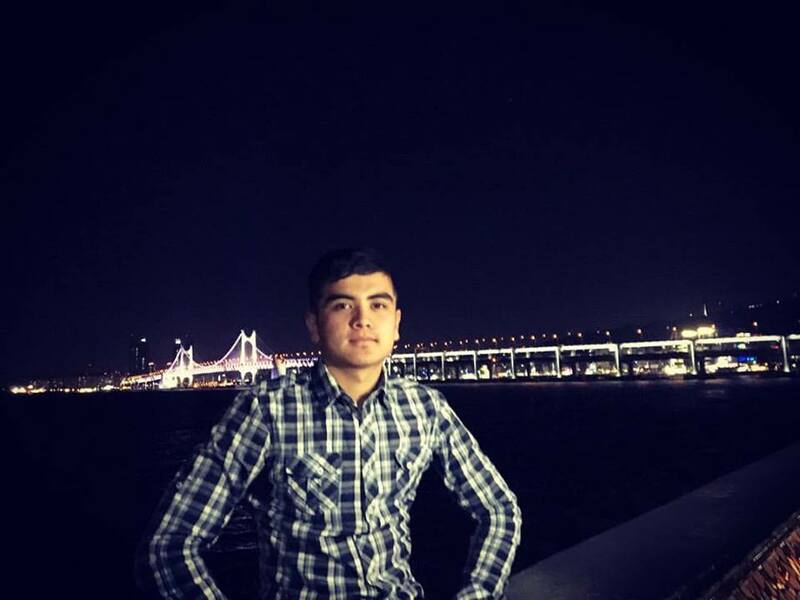 - a story by Bekzat Shamurzaev- our exchange student. 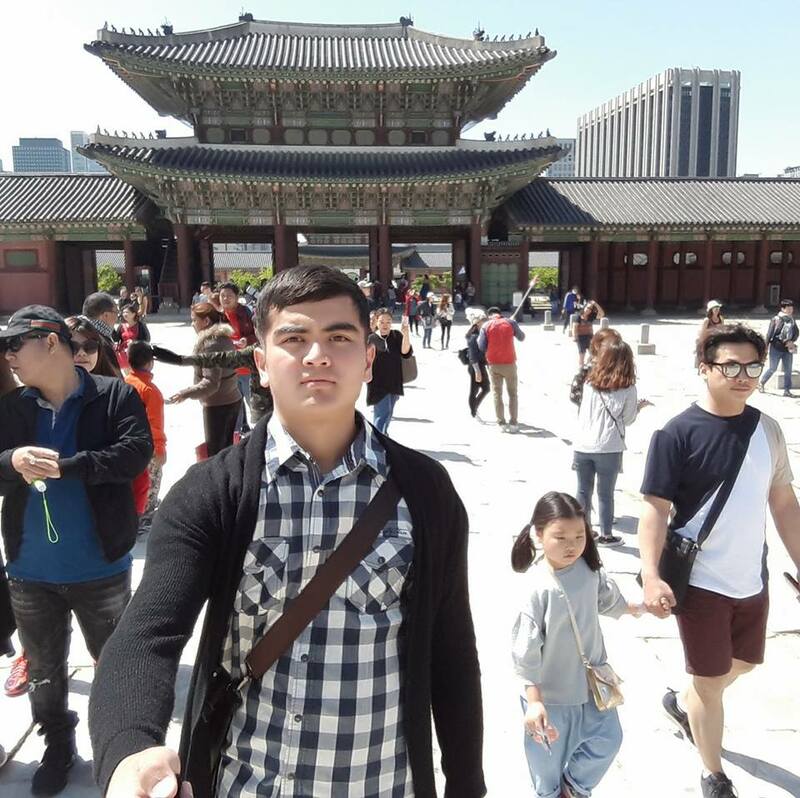 Continuing our series of talking about traveling abroad, today we have a guest Bekzat Shamurzaev, a third-year student of the “Management” department, who spent half a year as exchange student at the top university in South Korea, the Solbridge International Business School. -Bekzat, being a prospective student, when choosing a department, why did you stop at “Management”? - To be honest, for a long time I could not choose an appropriate department - "Management" or "Industrial Engineering". When I went to Talant Agay (head of the department) for advice, he said that I should choose " Industrial Engineering ". The head of the "Management" department did not want to take me to his office, imagine that? (laughs). After this conversation, for some reason, I wanted to enter the "Management" department. My father was an entrepreneur, I grew up helping him in this business and I was always interested in how to start my own business, how to manage a business, how to solve problems in business. Probably, this influenced the choice of the department. -Why did you decide to go to Korea for exchange? - When I entered "Ala-Too", our curator told about the program "Student Exchange". Then I gave myself a word that I will definitely go abroad with this program. As for the choice of the country and the university, I applied at the beginning to Lodz University in Poland on the Erasmus scholarship program, but, unfortunately, did not pass the interview. Then the coordinator of the Office of International Relations advised me the Solbridge University in South Korea, and for that I am very grateful. After that I immediately started collecting documents for filing to Solbridge and successfully passed the interview. Why Korea? First, it is not only study abroad, but also it is the opportunity to see a completely new and unfamiliar country for us. Of course, I want to go everywhere and see everything. -What difficulties did you face when you were there? - The difficulties were the first 3 days, as I flew to Korea 3 days earlier orientation week (a special program for acquaintance of students with the university). In the student’s house there were few students, I did not know Korean and could not buy anything in the store. For three days I ate dried fruit with a flat cake, which my mother gave me on the road, can you imagine that? And then within a week we were shown the city, told about the university, explained where and how to make purchases. In general, there were no difficulties. And the only big problem for me was food, because I'm a Muslim and I'm not allowed to eat pork. Every time I had to ask the composition of the dish I ate. Everyone was getting the question "is not there pork?". The proposal that I used constatntly in the Korean language is "Hello, is there pork in the food?". -How did you meet Korea? Did you get contact with our diaspora? - At the airport we were met by students of the Solbridge University. They asked beforehand our flight, when and in what time we should arrive. Just like in the cinema, we were waited with the flags of the Solbridge University. We were met by Aziz Aga from Kazakhstan, who graduated from Solbridge and successfully works there. Everything was organized at the highest level. In addition, I want to note that all the students and staff of the university were polite and friendly. I did not try to meet the Kyrgyz Diaspora, but I met with Tugolbai Bayke and Dooronbek-our compatriots. Tugolbai Baike studied at Unist University in Ulsan (neighboring city). He introduced me to Dooronbek. 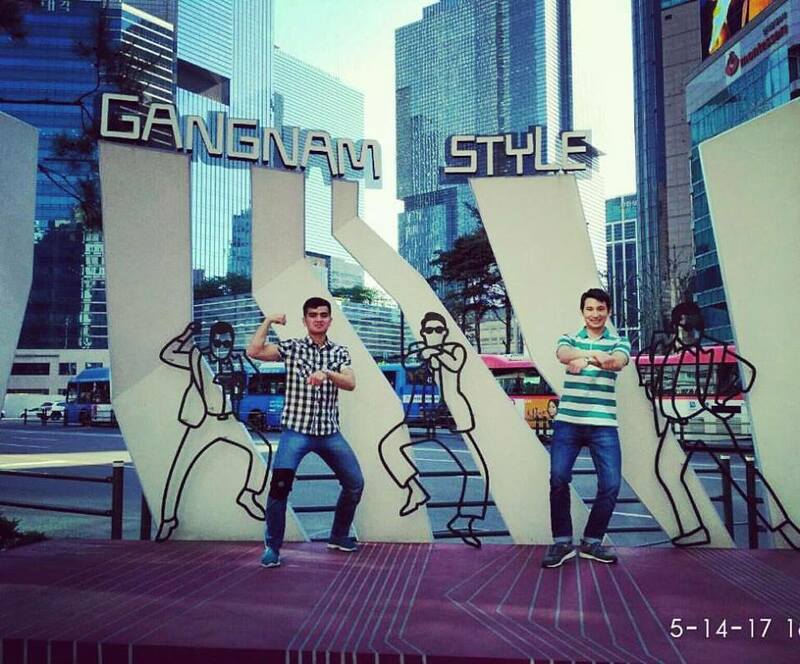 Dooronbek is studying at the University of Kaist (part of the Top 5 in Korea) on a budgetary basis, and he introduced me to Daejeon (the city where we lived). I also met Bektur-an MBA student in Solbridge. Once he called me to a football tournament, which was organized by students and migrants from Kyrgyzstan. The people of Kyrgyzstan are very friendly in Korea (smiling). Do you know what is most interesting? 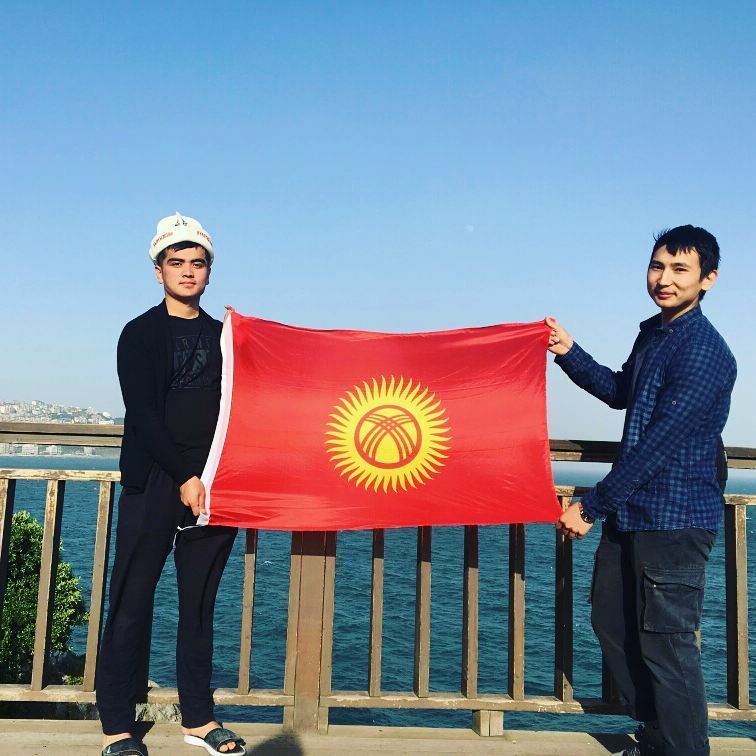 I met a Kyrgyz who has never been to Kyrgyzstan at all! He proudly says that he is a Kyrgyz, even that he has never been to Kyrgyzstan. 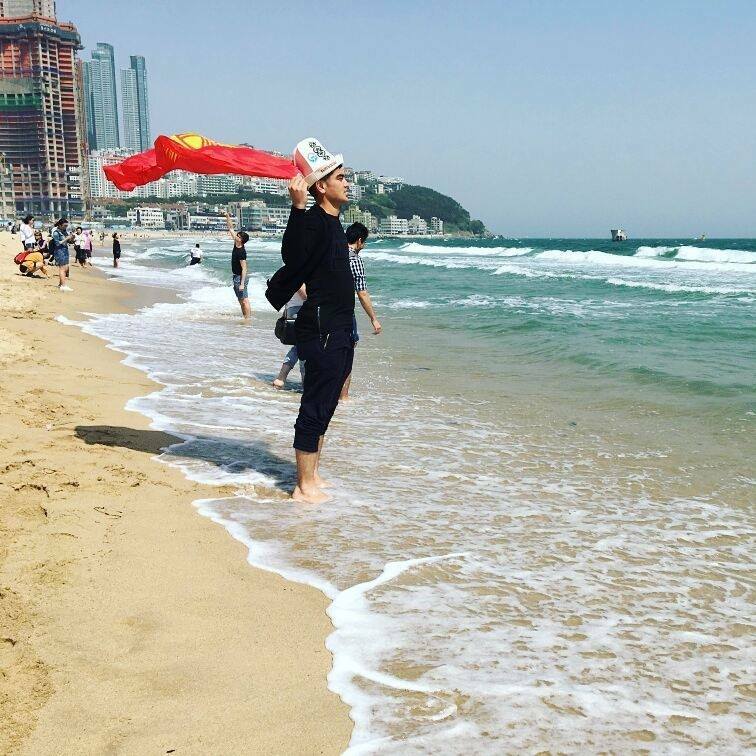 Now he wants to come to Kyrgyzstan after graduating from the bachelor's program at Solbridge. -What impressions have you got from Korea? - Korea is a very developed, small, but very beautiful country, where in many cities everything is thought through to the smallest detail. I liked it there very much! Everywhere there are cameras. Even at 2-3 o'clock in the morning you can walk in the parks and have nothing to fear. -Why did you choose Solbridge? -Because in "Solbridge" about 70% of foreign students and only 30% are Koreans. Many professors, too, are not Koreans, I had five subjects with teachers of different nationalities: Turk, Chinese, Korean, Japanese and English. I also liked Solbridge where I could choose the desired subject at the desired time of the day (in the morning, after dinner or in the evening). -Could you tell me more about the national team? - Every spring there is "Sports Day" and they select students in all kinds of sport. I chose the Korean fight. Then the captain of the team came out to contact me. It was hard to persuade him to take me into the team, but after the first training he was confident in me and offered to act first. The team had 4 guys and 3 girls (all the girls, by the way, were Kazakhs). It was a team battle and the winning the whole team depended on winnings or losses of each fighter. After winning 3 teams, in the 4th round, the referee removed our team was from the competition, as our fans were against the decision of the judge, they are very strict of this, the decisions of the judges need to be respected. But despite all this, we spent a great time there and with the whole team I'm still on good and warm relations. In general, it was a wonderful time and I am grateful to the fate and the “Ala-Too” International University for such a wonderful opportunity to travel abroad! 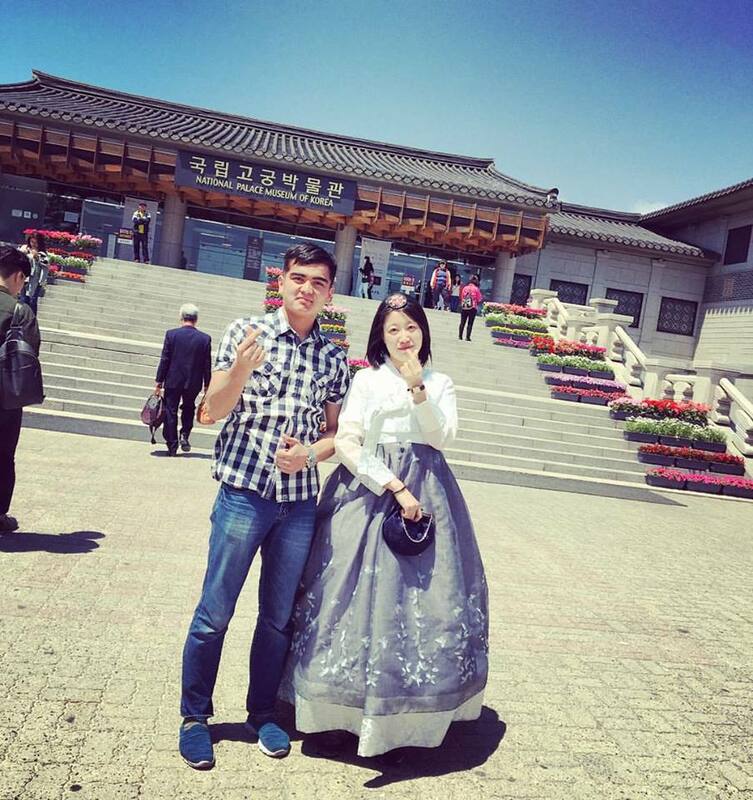 Thanks to the AIU for giving me the chance to go abroad and see the education system in Korea. And thanks to AIU for fulfilling my dream, because I have never been abroad. My first dream came true! Moreover, I never thought that I would like to apply for the Master’s Degree after spending 1 semester at Solbridge. Now I set myself the goal of enrolling in a Master's Degree abroad. If you want to apply for the exchange program, it will be better to choose Fall semester, since many holidays are celebrated during this period, because it is very interesting to see how holidays are celebrated abroad. Be open to new acquaintances, friends, adventures! And also, if you applied to Solbridge, participate in the "orientation week"! -Thank you very much, Bekzat for such a rich and interesting conversation and good luck!